Oh, what joy it is to feel physical pleasure while listening to an album. 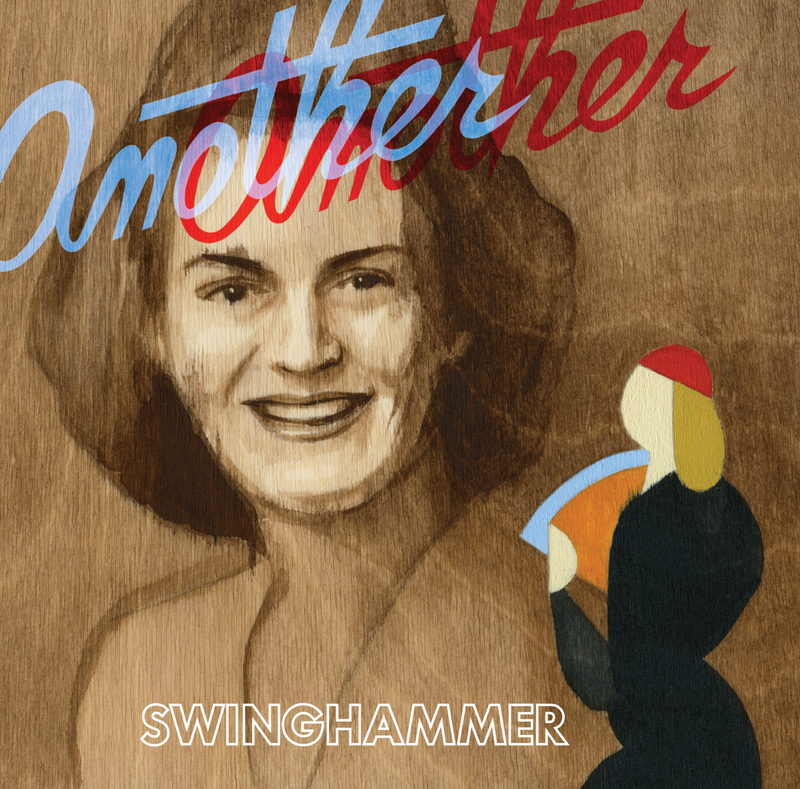 Lori Cullen’s Sexsmith Swinghammer Songs is an audiophile’s dream, and this wonderful, unexpected jazz/folk album has sneaked its way into contention for one of the best albums of the year. Sonically, it sits comfortably among Getz and Gilberto, Joni Mitchell, and Nick Drake, and is the closest thing to perfect production you can find all year, with richly textured instrumentation vibrant enough to hit your solar plexus but restrained enough to bring serenity. The silence sparkles, mixing the instruments in at just the right volume, and floating you up on good vibes. Which is to say nothing of the subtle, nuanced, and rich compositions by Ron Sexsmith and Kurt Swinghammer, written especially for Cullen. The keyboards are sweet and delicate; the bass rumbles like a playful uncle; the guitar holds the line with bright, compelling, chord changes. The minute movements, one-note chord changes, and tiny subliminal movements that barely register consciously take on the weight of revelation. Once you reach the final track, you’ve taken a journey, winding and complicated, without ever knowing you took a step off the path. Above it all is Cullen herself: her voice–like this album–hides its power within the gentle, flowing compositions. The moments of breathiness suggest the moments of power. On tracks like “Strange is this Life,” you get the full range of her abilities, from barely voiced lullaby to full-strength mezzo-soprano. She turns major chords to diminished on a dime, and the moments of joy and sorrow in the lyrics are done with hairpin precision. At no point do the overtly optimistic turns on tracks such as “New Love” feel at odds with the overtly pessimistic “Face of Emily,” or “Beginners Luck.” Each song is necessary, stays as long as it needs to, then, waves goodbye. For me, listening to this record is like watching the sunset cross your lover’s face as it falls into night, on the beach. It’s that specific shade of orange too beautiful for daytime, touched just-so with gold and shadow that magnifies in the presence of the face it falls onto: balanced, beautiful, and slightly melancholy. The only imperfections are the last few tracks, which emotionally stutter just a little. Unfortunately, the previous balance achieved compounds the noticeability; they are not bad, but they do not shine quite as bright. But goddamn, it feels nice to unabashedly enjoy an album for once. 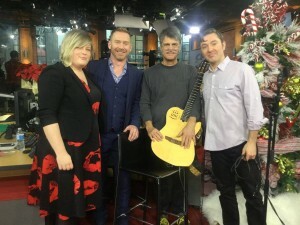 Host Bill Coulter interviewed Lori, and then along with Maury Lafoy we performed The Face Of Emily this morning on CP24 – City TV’s cable/satellite station. 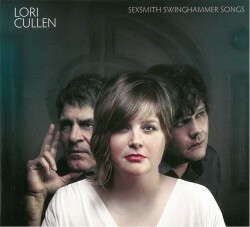 Contemporary jazz/pop vocalist Lori Cullen’s latest release is an appealing and innovative project that is the result of an inspired collaboration between Cullen herself and two noted musicians – composer/guitarist Kurt Swinghammer and composer/lyricist Ron Sexsmith. It was Sexsmith who first suggested to Swinghammer that they write an album together specifically tailored for Cullen. The 12 tracks on the CD all feature lyrics by Sexsmith and are rife with Swinghammer’s carefully placed stylistic elements of the artists who defined the fertile pop eras of the 1960s and 1970s, including tips of the hat to Burt Bacharach, Jimmy Webb and Antonio Carlos Jobim. Produced by bassist Maury Lafoy (who appears on the project), the musicians also include drummer Mark Mariash, keyboardist Robbie Grunwald and Swinghammer on guitar. Although Fender Rhodes and guitar are central to the instrumentation, the compelling, acoustic arrangements by Swinghammer also involve an array of diverse instrumental contributions, including finely crafted enhancements on trumpet, trombone, oboe, clarinet, vibraphone, marimba, English horn, recorder and more. Cullen’s angelic voice wraps itself around each sumptuous melodic line and every composition has been constructed to highlight her superb, crystalline vocal instrument and intuitive knack for delivering frank emotional content and a quirky lyric. Memorable tracks include the gently swinging and faintly ironic The Face of Emily, which features a lush vocal arrangement, and the groovy, lighter-than-air bossa nova, New Love. Atrue gem is the heartrending duet between Cullen and Sexsmith, Off Somewhere. This thoroughly pleasing and unabashedly romantic recording is a triumph for all three of these gifted artists and a stunning example of creative, musical symbiosis. Justly lauded as one of her generation’s purest voices, Cullen’s scale-swooning smoothness and jazzy agility here prove the perfect foil for two celebrated fellow countrymen fans. The landscape of Jobim/Bacharach pop is reimagined with Ron Sexsmith’s ever curious and naturally psychedelic lyrics on “Strange Is The Life”, along with the off-kilter soulfulness of inspired arrangements by Cullen’s husband, the excellently named Kurt Swinghammer. The cherry on the cake could be Ron and Lori’s “Off Somewhere”, but everywhere here these sensual, swinging and sashaying songs provide pleasure-centre-assailing treats for any season.